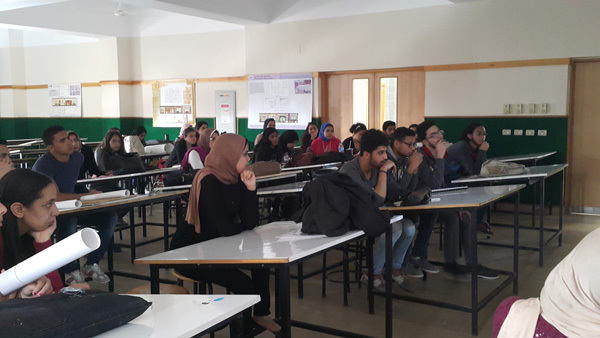 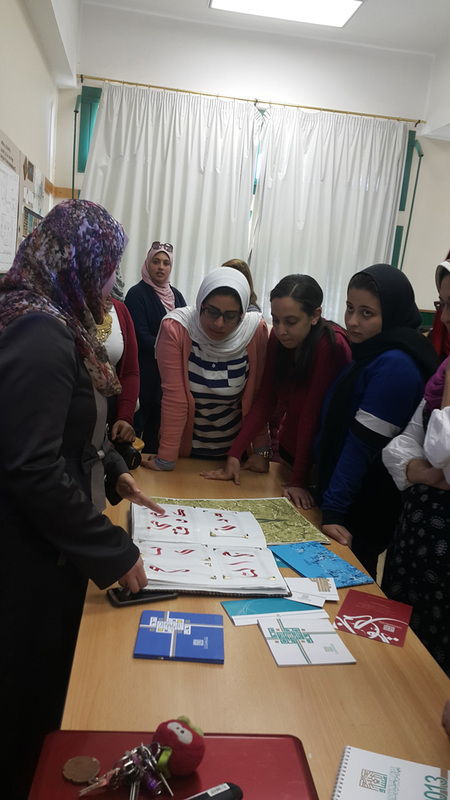 The Faculty of Arts and Design organized a seminar about Arabic calligraphy on Tuesday 22/3/2016, in the presence of Mrs. Amira Mohammed El-Sammak. 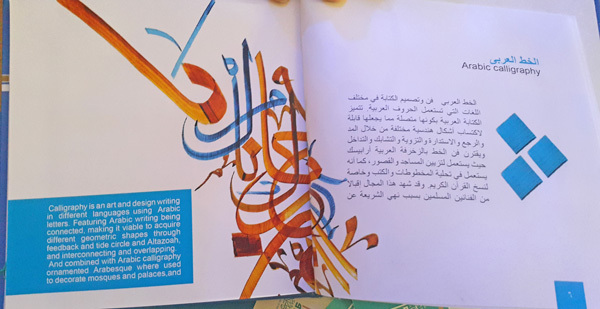 The importance of the study of Arabic calligraphy and its usage in the field of advertisement through making logos, dossier covers, printing envelope covers, printing CD covers, printing posters, book covers, posters for advertisement and publicity, calendars, publicity for festivals, conferences…. 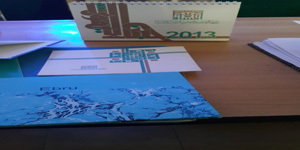 Light painting of Arabic letters, using Ebro – water painting – backgrounds, and then mixing them to produce art works in Arabic letters.